Taylor Van Zant hasn't added a story. 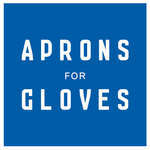 Founded in 2012, Aprons for Gloves Boxing Association is a non-profit organization focused on providing community outreach through the sport of boxing. Based in Vancouver’s Downtown Eastside, the organization was developed by a small group of professionals and entrepreneurs who seized an opportunity to re-establish a historic boxing program for at-risk women and youth. The program offers free mentorship and training to individuals who may otherwise not have the resources or support to participate in such activities. The sport of boxing teaches discipline, respect, hard work and self-control. Training results in positive self-esteem, good health and camaraderie for its practitioners. Every year bartenders, chefs, dishwaters, servers, baristas and all sorts of individuals from the Gastown community get together to train at the Eastside Boxing Club to fight in Restaurant Rumble. In order to attend training, each fighter is required to raise $2000 for charity before they can compete at the Rumble. This year, the event will be held Wednesday, July 26th at the Commodore Ballroom. If you make a contribution or Follow this campaign, you'll be first to hear when tickets go on sale. And you will have a chance to see your friend get beat up, live, in person. Make it happen. Click Contribute now. Taylor Van Zant hasn't posted any updates yet.